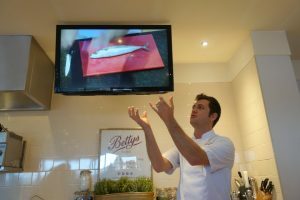 Did you know Bettys has a Cookery School in Harrogate? It does and it teaches you so much more than how to make the perfect cake. This month’s Harrogate Hobbies is perfect for both the ‘I know the difference between a macaroon and a macaron’ and the ‘I’ve never even set foot in a kitchen before’ people. 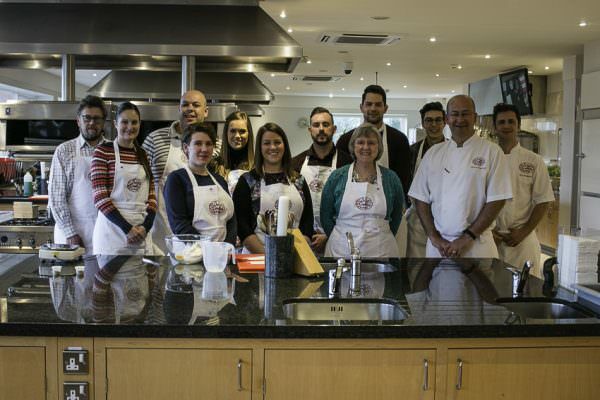 Based next door to the Bettys Craft Bakery in Harrogate, the Cookery School offer a variety of course from classic baking and intricate pâtisserie to three course meals and skills courses such as butcher and knife skills. As many of you know, I work for Bettys & Taylors. 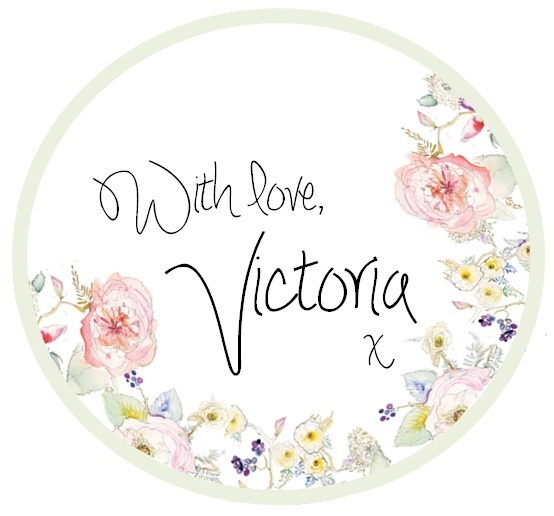 As part of my job I work with influences to create interesting and imaginative content to share with their readers and followers. 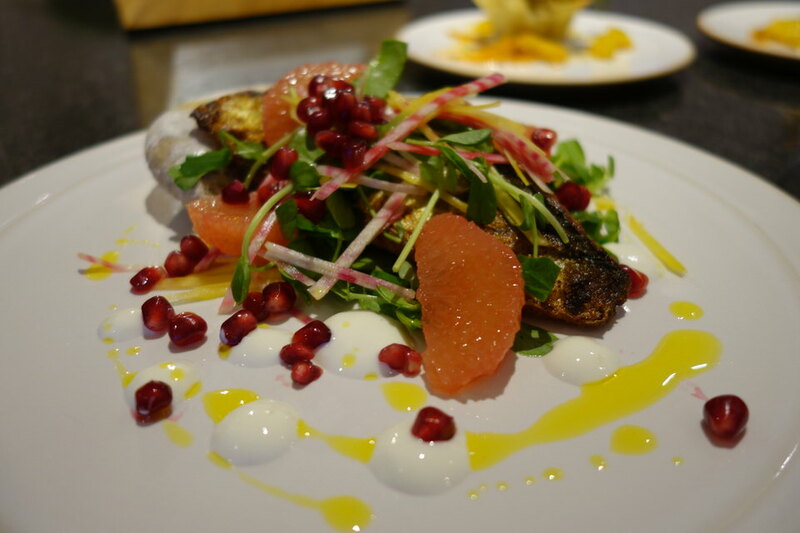 This time, we worked with foodie bloggers and vloggers and invited them to the Cookery School for a Delicious and Nutritious Course – perfect for that healthy kick start in January. 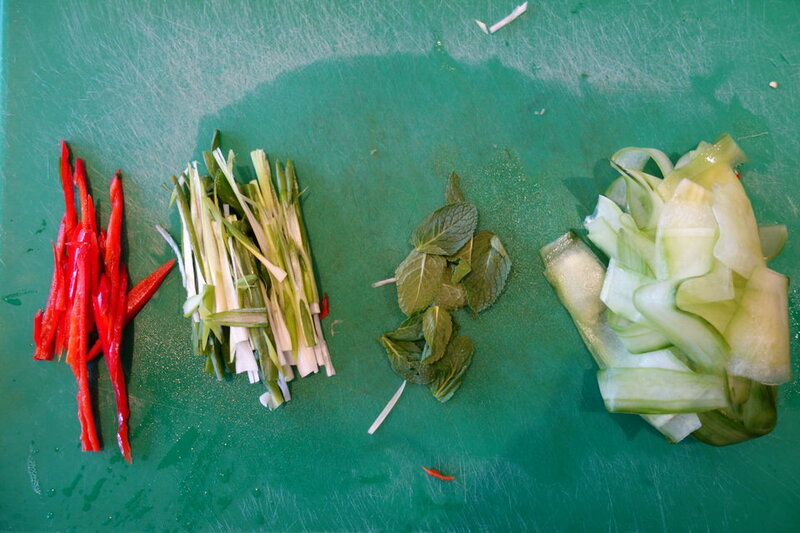 What happens on a cooking course? The morning started off with a relaxed Bettys breakfast hosted by one of the five tutors, Jenny Culver. Jenny made a proper brew for every one and offered us a delicious Bettys Croissant with Bettys marmalade. Chris from The Yorkshire Pudd said it was the best croissant he’d tasted since his trip to France… I must agree, freshly made from our Craft Bakery, you can’t beat it! Once everyone had arrived and settled in we made our way to the demonstration bench. 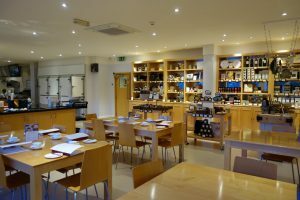 The Cookery School has the capacity to hold 18 delegates on a full day course (more for a domo course) each with an individual station complete with state of the art cookers, grills and kitchen gadgets galore. Every course is designed and developed by the highly skilled tutors. 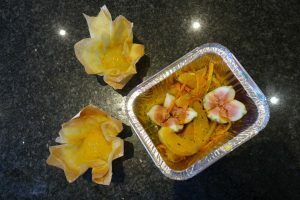 The Delicious and Nutritious course was developed by the lovely Will Pemberton, together with Tutor, Chris Taylor, they were our cooking gurus for the day. We were given a course book with all the information, recipes and guides along with a cookery school apron – for keeps!! 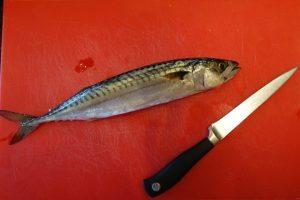 First up, Spiced Mackerel Salad and time to roll up your sleeves as we were gutting and filleting the Mackerel… something I’ve never done before and not for the squeamish at 9.30am in the morning. 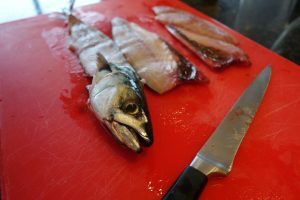 The tutors taught us what to look for in a fresh fish, what knife we should be using and how to take out pin bones using tweeters. 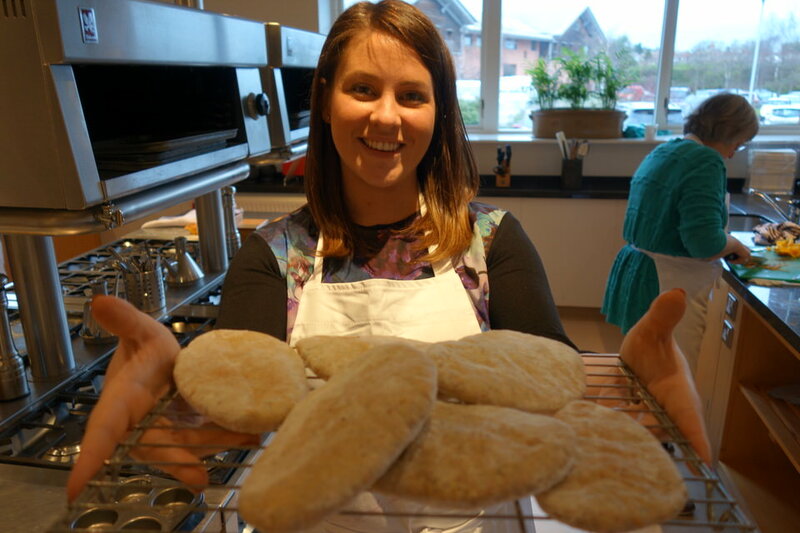 Next onto the bread, again another item I’ve never made but pitta breads are very easy to make, only seven minutes in the over and freezable – why have I not made them before! 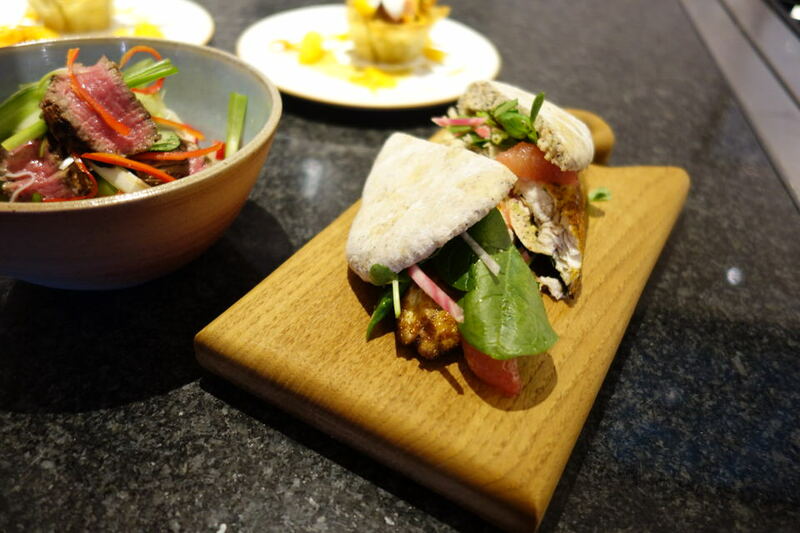 All was going swimmingly, time was whizzing by and I was having so much fun with all the other bloggers and my bench buddy Lynn Hill from Sucre Kitchen. Soon it was onto the next demonstration. I really liked this format as you never felt overwhelmed with what you had to do. It was bit size chunks and the tutors were always ready in the wings to help should you panic. 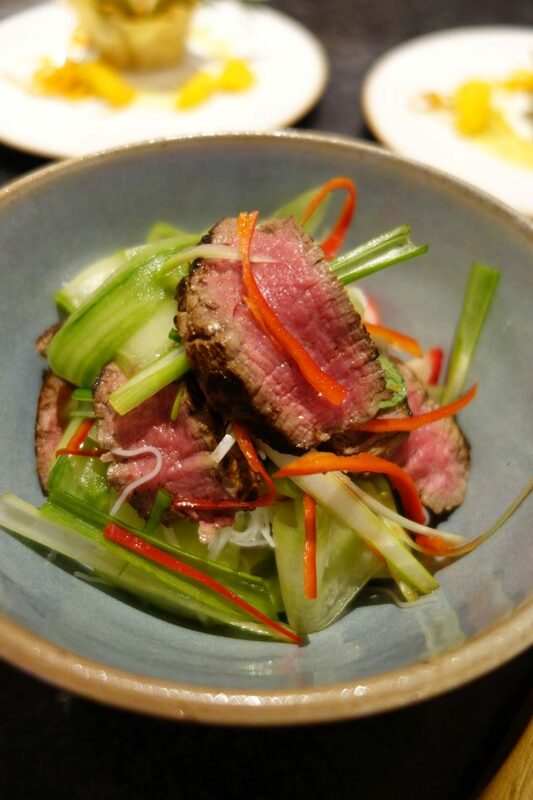 Once we’d laid our beef to rest in the marinade we cut up our salad… cucumber ribbons sound extremely posh but wow what a difference in taste – yum-my! Next, a spot of lunch. 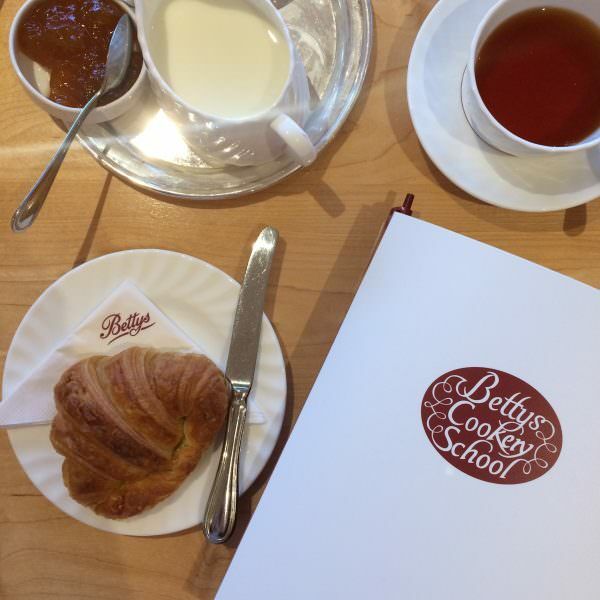 As with every full day, practical Cookery School Course at Bettys you take everything you make home. 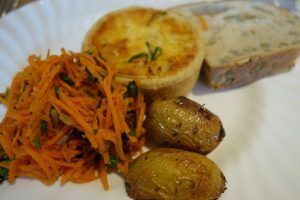 So that meant we had a gorgeous Bettys quiche with new potatoes and carrot salad, accompanied with a cheeky glass of wine. 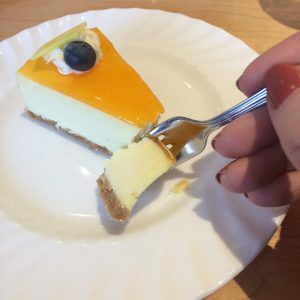 We even had a beautiful orange cheese cake to finish. There was just the right amount of time to catch your breath, talk to the other delegates and shop before we were back at the demo bench for the final dish; the Baked Fig Filo Tart. This dessert was very easy and so much fun to make. Firstly respect the filo! 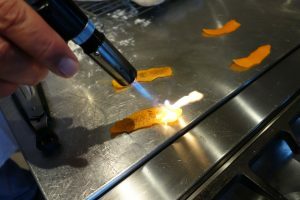 Secondly play with fire and orange peel and thirdly open up a fig like it’s a blossoming flower. Suddenly it was the end of the day and all that was left was a final demo from Will and Chris to show us how to combined everything we’ve done so far into the three final dishes. They made it look so easy and I hoped it would be that easy at home. Presented in front to the bloggers were three very pretty dishes which we quickly photographed before picking up a fork and getting stuck in. Wow-e-wow-er! Everything was beautiful, it felt fresh but not so good that it felt like you were missing out. As Niki and I were heading of to Kielder that weekend I had the mackerel as my dinner and made the beef into a lunch for our Northumberland adventures. Everything was delicious and I highly recommend making the beef salad, perfect for lunch or dinner. 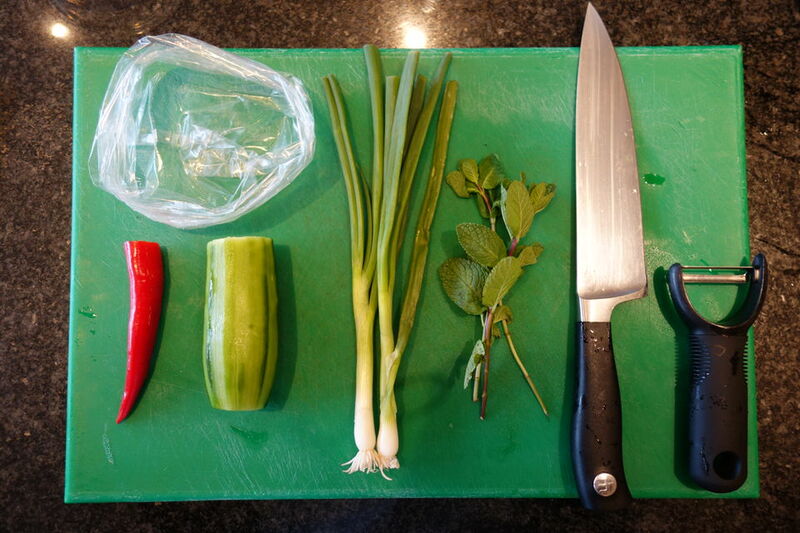 Bettys Cookery School is the perfect way to kick start your cooking hobby because it allows you to learn in a professional kitchen with friendly and knowledgeable teachers. Finishing off your dishes at home not only make you re-visit the recipe but allows you to share your fantastic creations with your family. 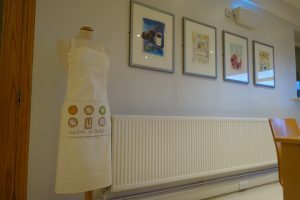 Along with a keep sake Bettys Cookery School Apron you also keep a folder with cooks notes and a step by step guide to each recipe. Leaving the cookery school with a full stomach and hands full of bags of food I’d say there’s so much this cookery school offers; For £185 I feel it’s value for money. 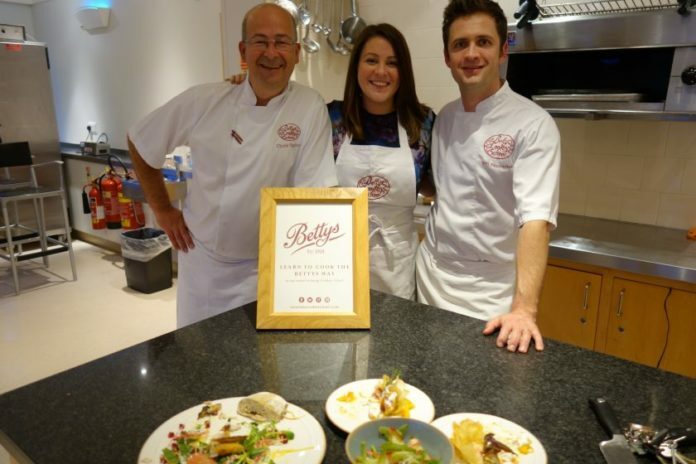 Bettys Cookery School… the perfect Mother’s Day gift? information or to book please visit www.bettyscookeryschool.co.uk. If you enjoyed my Cookery School post you may also like my review on Lady Betty Afternoon Tea or another Harrogate Hobby such as Lino Printing. P.S. Thank you to Bettys for letting me experience a full day practical course. I now really want to come on one of your cakes courses! I saw your post today re getting back into fitness with a dedicated training/food&drink regime. 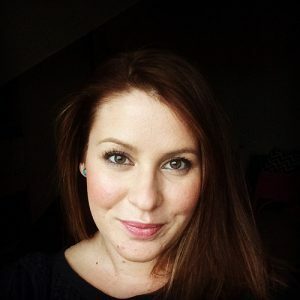 If you’d like to train with me at our thebodydocs studios in central Harrogate, free of charge for a number of sessions, I’d be happy to help in return for your honest public feedback of your experience. This might help to kickstart your progress. 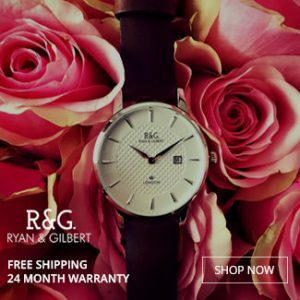 I work with a large number of clients of all ages, and all abilities/experience – and over 70% are women. If you’re interested please take a look at our website (thebodydocs.com) to see what we do. 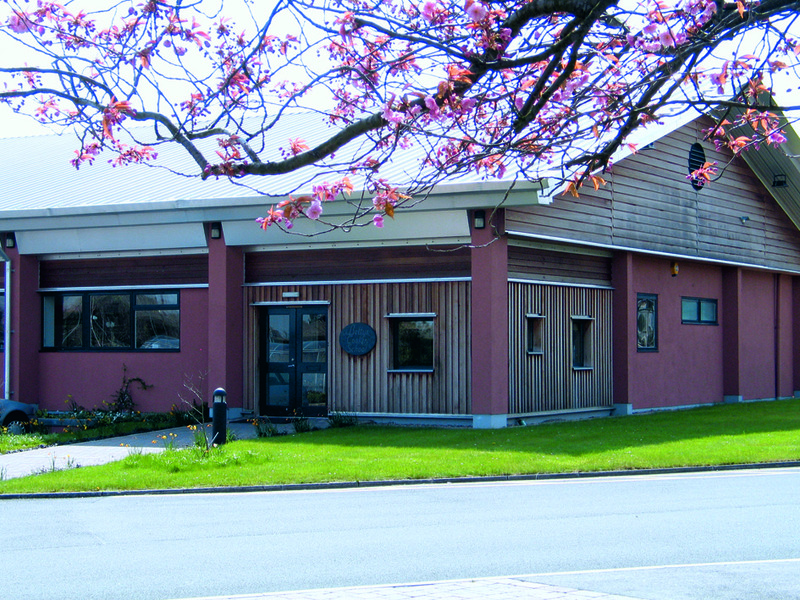 You’re more than welcome to meet with me for a chat and to look at our facilities if interested. Lease let me know if you’d like to meet up.